In Harris County a person can be charged with child endangerment both regarding one’s own child as well as a child under one’s care. It’s important to note that while the act may be intentional, also reckless acts and negligence fall under child endangerment. One does not have to intend to hard the child. Some examples of child endangerment are leaving a child unattended in a vehicle and driving while intoxicated with a child. Even providing alcohol for an underage person counts as child endangerment. In Texas child endangerment is at minimum considered a state jail felony and a conviction can range between less than two years and up to twenty years in the penitentiary. There are also very large fines of up to $10,000. A conviction can also result in losing professional licenses, loss of employment opportunities, and loss of government assistance. For this reason if you or a loved one is charged with child endangerment, it is imperative to hire an experienced criminal defense attorney as soon as possible. 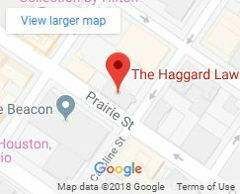 Carl Haggard of The Haggard Law Firm has over 30 years of verified winning experience helping people in Houston who have been charged with child endangerment. Our legal defense team cares about our clients and we do everything possible to fight for you – email us or call (832) 328-0600 today for a free confidential consultation about your charges and we will immediately go to work for you. Diana’s grown children had been babysitting her 1 year old son. She arrived home highly intoxicated and indicated she was going to continue drinking. When they voiced concern for their younger brother, she became belligerent and locked them out. They called police, who observed open containers in reach of the toddler, that Diana seemed unable to hold him safely, and saw her aggressively confront her children for calling the police. Diana worked as a District Manager for properties with children and needed this Child Endangerment open case not only dismissed, but asap, to keep her job. We counseled Diana on how to deal with CPS to advantage and gave her other advice, based on our experience in this type of offense, which she followed. We worked with the court and our client to facilitate as early a Dismissal as possible & secure the safety of her employment. Kelly and Thuan’s 11 yr old daughter was manipulative and would threaten to kill herself whenever facing punishment for acting out at school or home. 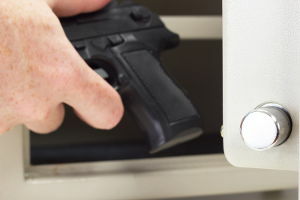 In frustration they called her bluff one day by grabbing a knife and an unloaded gun & telling her – “Here’s how you can do it” before putting the gun back in the safe. CPS removed the children from the home for the several months it took us to prove the parents’ actions were imprudent but based on logistics and facts did not actually endanger Complainant’s life. Case No. 1508856 – Noble M.
A neighbor called police after she heard a 3 year old child crying for several hours in the back yard next to hers. Police found the child in a neglected state with his father, who works nights, upstairs asleep. The boy woke up and left without waking up his father and managed to lock himself out. We hammered home a Dismissal at the point of setting it for Trial by using CPS records, parenting classes, proof of a new day care routine, better home security and a strong argument for how it happened that day due to their teen’s carelessness in not following the proper procedures before he left for school. Case No. 1502437, 1502438 – Montrey & Consuelo T.
This was the 2nd time in a week police had been called after clients’ 3-yr-old was found wandering around the parking lot barefoot and dirty. 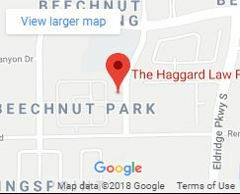 Although a child protective services case was filed and custody was given temporarily to a relative, we were able to get the criminal case endangering a child in Houston dismissed by carefully and forcefully presenting our case and evidence – that these are parents who love their son but who need instruction in better parenting techniques and in making their home safe against adventurous young children.